Three days before Apple revolutio...wait, that didn't happen. I kid, I kid. On Monday AMD updated just about all of its processor families with new chips in response to Clarkdale. We got the Athlon II X2 255, Athlon II X3 440, Phenom II X2 555 BE, Phenom II X4 635 and Phenom II X4 910e. All of the chips are in Bench, so if you want to know how they compare have a look - or check out our review. There are two things I left out of that review that I felt needed following up on. First, let's take the Phenom II X2 555 BE. If you read my take on the 555 you'll know that I don't really believe it's worth the price. Most users will be better off with a Core i3 530. There is just one exception I failed to mention: some Phenom II X2s can be turned into a Phenom II X4. The technique is nothing new. Using any AMD chipset motherboard with a SB710 or SB750 South Bridge and proper BIOS support you'll have a feature called Advanced Clock Calibration (ACC). AMD introduced this feature back in 2008 as a way to improve overclocking on Phenom processors by sacrificing some sort of corner case stability for real world frequency headroom. 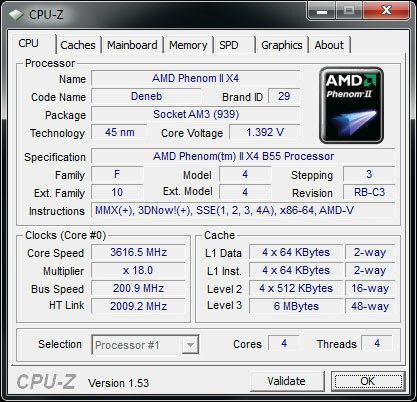 The Phenom II X2 is nothing more than a Phenom II X4 with two cores disabled. Originally these cores were disabled because of low yields, but over time yields on quad-core Phenom IIs should be high enough to negate the need for a Phenom II X2. This is most likely why AMD removed the Phenom II X2 from its official price list. It's also why the stranger Phenom II derivatives are also absent from AMD's price list. All that's left are Phenom II X4s pretty much. 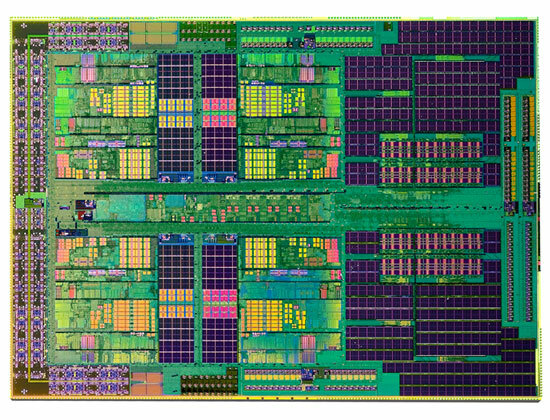 A Phenom II X4 900 series die: 258mm2, 4-cores and a 6MB L3 cache. Also the basis for the Phenom II X2. And herein lies the problem for companies that rely on die harvesting for their product line. 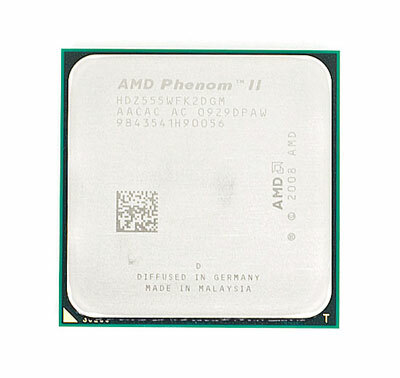 Initially, the Phenom II X2 is a great way of using defective Phenom II X4 die. Once yields improve however, you've now created a market for these Phenom II X2s and have to basically sell a full-blown Phenom II X4 at a cheaper price to meet that demand. 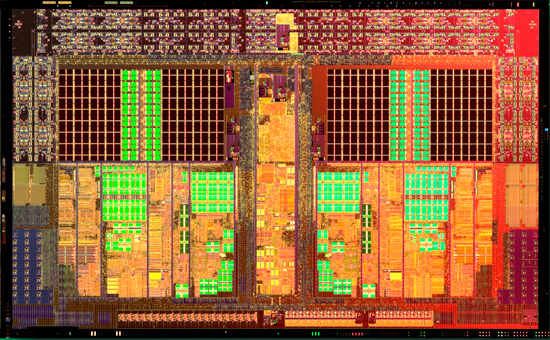 You could create a new die that's a dual-core Phenom II, but that's expensive and pulls engineers away from more exciting projects like Bulldozer. Often times it's easier to just disable two cores and sell the chip for cheaper than you'd like. At the same time you can do your best to discourage your customers from ordering too many. Remove it off the official price list, charge a little more for it, and direct people at a cheaper native alternative - like the Athlon II X2. The Athlon II X2 die. Two cores are all you get. AMD's sticky situation is your gain however. While I can't guarantee that all Phenom II X2s can be converted into quad-core chips, I'd say that your chances are probably pretty good at this point if you get a new enough chip. As with any sort of out-of-spec operation, proceed at your own risk. You may risk ending up with nothing more than a dual-core processor or an unstable quad-core. In my case however, my Phenom II X2 555 BE's extra two cores were easily unlocked. Patiently waiting and a self-initiated reboot later and my CPU was identified as a Phenom II X4 B55 BE. Four cores running at 3.2GHz, just like a Phenom II X4 955 but for $99. Overclocking is affected. With only two cores active my Phenom II X2 555 BE could run at 3.8GHz without any additional voltage. With four cores active, that number drops down to 3.6GHz. My Phenom II X2 555 BE, with all four cores unlocked, and running at 3.6GHz. If you're ok with the possibility of this not working at all, a Phenom II X2 555 BE with all four cores active is the absolute best value you can get for $99. AMD would like to charge you $160 for the opportunity, but you can put the savings towards a better video card or a shiny new SSD. Thanks Anand for a great follow-up article - exactly what I was waiting for. "The performance is no different than the regular 125W Phenom II X4 910"
It would be 'unofficial' but there is a thread at XS about the PhII unlocking that shows a success rate >70%. They keep a list of batch numbers with the success rates. Here are 32 pages in the 'X2 550 Unlocking & Overclocking Consolidated' thread. Includes everything from motherboards with preferable BIOS versions, ACC settings to help pesky unlocks, to NB/IMC overclocking.